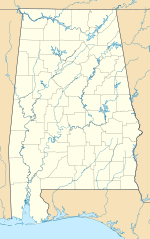 Foley Municipal Airport (FAA LID: 5R4) is a city-owned public-use airport located three nautical miles (4 mi, 6 km) northwest of the central business district of Foley, a city in Baldwin County, Alabama, United States. The Fixed Base Operator at Foley Airport is Lightning Aviation. Lightning Aviation was founded in 2010 by retired Army helicopter pilot, Roger Watkins. Since then, the company has trained hundreds of Navy and Marine pilots and Naval Flight Officers (NFOs) for the Navy's Introduction to Flight Screening (IFS) Program. In addition to training the Navy, Lightning Aviation also offers pilot training to civilians seeking their private, instrument, commercial, and multi-engine certificates and ratings. Lightning Aviation operates and maintains a fleet of 16 Cessnas and Piper aircraft. They also offer maintenance services to the aircraft hangared at the field and anyone else in the area needing work on their plane. Foley Municipal Airport covers an area of 104 acres (42 ha) at an elevation of 74 feet (23 m) above mean sea level. It has one runway designated 18/36 with an asphalt surface measuring 3,700 by 75 feet (1,128 x 23 m). There are currently 32 T-hangars at the field owned and operated by the City of Foley. There are plans to break ground on a new set of eight more hangars at the end of 2018. There is also a large hangar used by the FBO for maintenance. There is a pilot lounge with restrooms and an office area. For the 12-month period ending November 1, 2017, the airport had 24,700 general aviation aircraft operations, an average of 67 per day. At that time there were 28 aircraft based at this airport: 86% single-engine and 14% multi-engine. ^ a b c d FAA Airport Master Record for 5R4 (Form 5010 PDF). Federal Aviation Administration. Effective 25 August 2011. This page was last edited on 17 January 2019, at 23:31 (UTC).